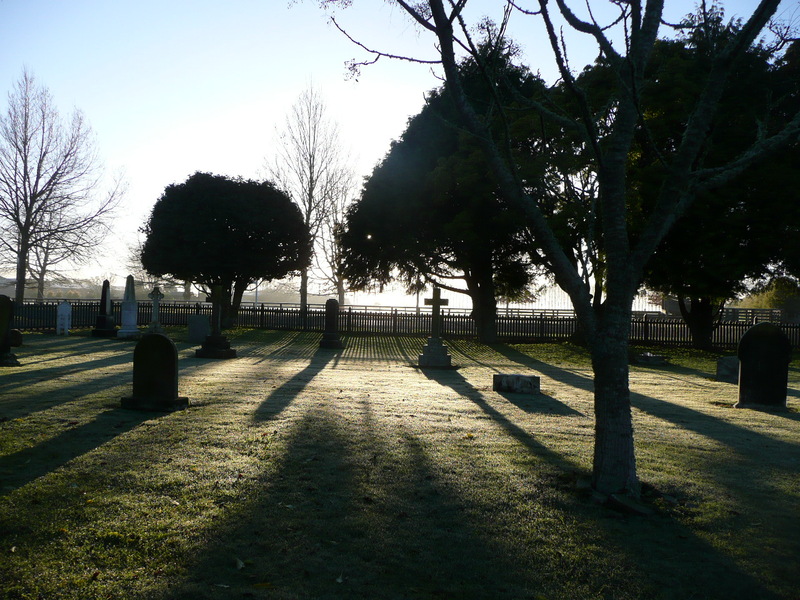 There is no sign in the Cambridge, New Zealand Cemetery at Hautapu where Elizabeth Carroll was buried in 1899. On 15 May 1899 William Carroll, the publican of the Masonic Hotel, while in a drunken state beat and kicked his wife to such an extent as to cause injuries resulting in her death on 2 June 1899. Constable Timothy Cahill had been called to the hotel on the 15th and helped Mrs Carroll – her face swollen, bruised and bleeding, up the stairs to her room. He said he had not arrested Carroll as he thought it was only an ordinary row between man and his wife. A witness said later – ‘After the constable left the hotel there was a disturbance in the bedroom as if they were having a row, and there was a noise as if some heavy person had fallen on the floor.’ From 15 May to the date of her death Mrs Carroll never came downstairs. The nurse girl Minnie Johansen – went into Mrs Carroll’s room to get the baby who was crying, and while she was there Mr Carroll struck his wife who was lying on the bed. Mrs Carroll’s face was smothered with blood and the left side of it was swollen. The next morning Mrs Carroll could not see out of her left eye. The constable returned to the hotel but was told ‘matters were all right’. He visited Mrs Carroll a few days later and she appeared annoyed that the matter was being talked about so much. It was only after a doctor had been called that Constable Cahill on 29 May, laid an information against Carroll for grievous bodily harm. He was convicted in the Supreme Court in Auckland of manslaughter and served ten years in prison.